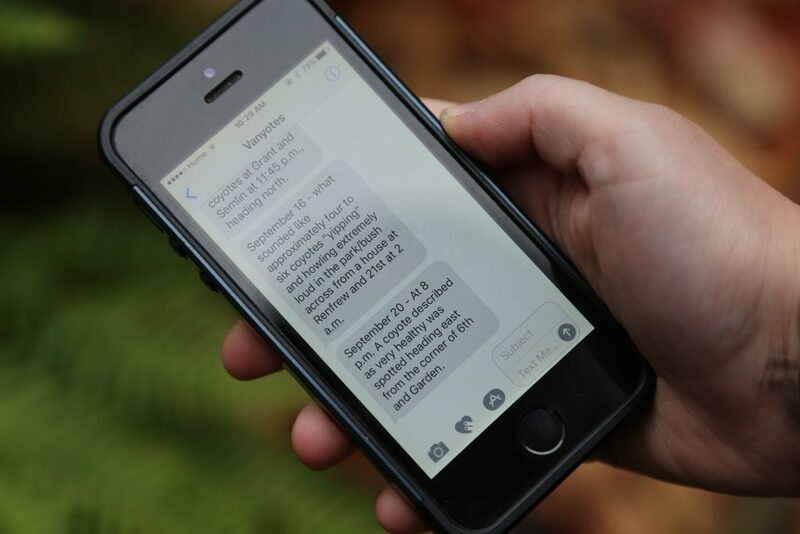 Judith Webster started her text alerts in response to neighbourhood cats going missing. 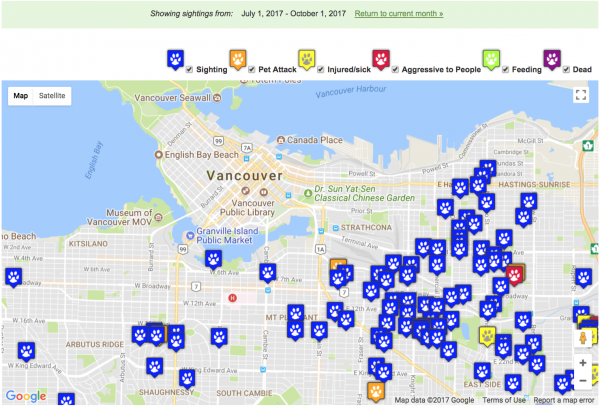 Most Vancouverites have probably seen a coyote wandering through a park or crossing a street, but few report these sightings. That is something a city wildlife organization and an east Vancouver pet owner want to change. The ecology society operates an interactive online map where people across the Lower Mainland can report coyote sightings. 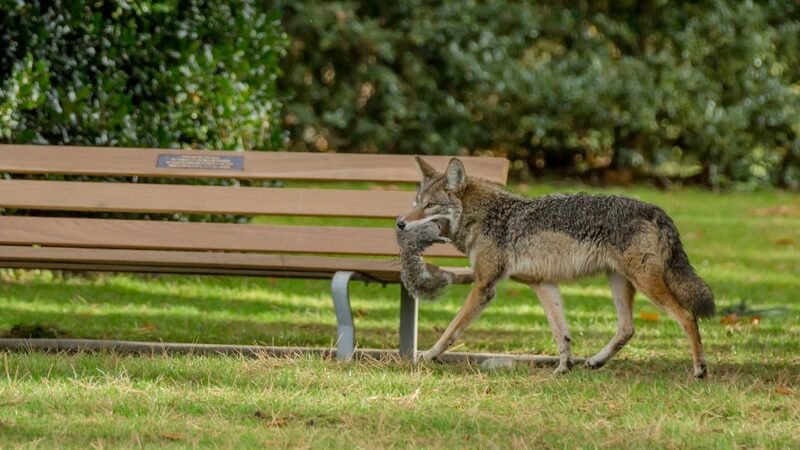 Experts believe up to 300 coyotes live in the city and, while aggressive encounters are rare, Hart believes it is important to keep people informed. 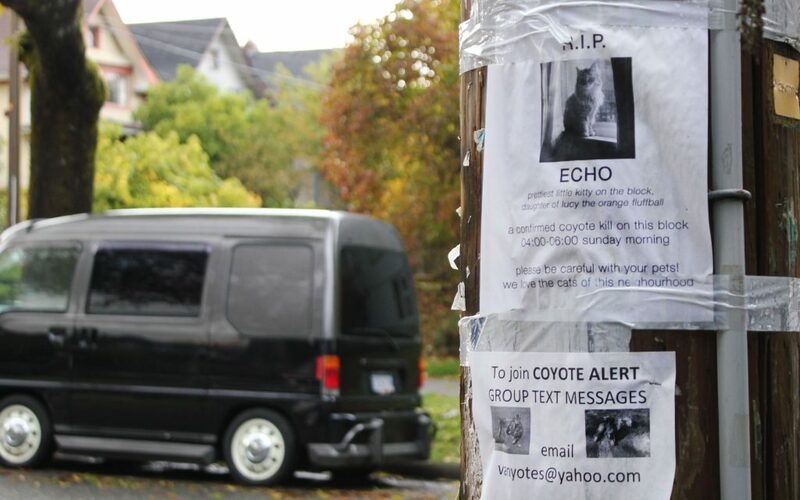 He recently found an ally in Judith Webster, a Commercial Drive local who has operated a resident text-alert system about coyote sightings since June. “The plan is to try and prevent a disaster,” Webster said. In Webster’s mind, a disaster is a cat getting grabbed by a coyote. Her solution is the “Vanyotes” text alert system she created. She’s already got 60 subscribers and her goal is to expand. When one user sees a coyote, the sighting is reported and that information is shared with other subscribers. Judith Webster’s text-alert system has over 60 subscribers. Hart reached out to collaborate with Webster this August after her initiative started to take off. Webster says that more programs like hers across Vancouver would help increase awareness of ecology society’s resources. Webster hopes that the success of her project will lead others in neighbourhoods across Vancouver to start similar projects. Even though the ecology society wants to ensure coyotes are tracked, officials remind people that coyotes perform an important service in cities by keeping rat and mouse populations down. Hart said cats and other pets represent only two per cent of their diet. “The fact that there are 200 to 300 coyotes living in Vancouver and there are so few incidents of actual conflict or aggressive animals is a real testament of how well they do co-exist with us,” Hart said. AAA Wildlife Control owner Randy Celinski says that, while coyotes pose a danger to cats and small housepets, owners can make choices to protect their animals. Celinski said the exposure of initiatives like Webster’s and the ecology society’s have led to decreased need for coyote removal. “The calls that come to our company regarding coyote have gone down because of public awareness,” Celinski said. To subscribe to Webster’s text alerts, email [email protected].